Don't make the mistake of marketing your product or service before you've defined your customer or client. If you do, you're just throwing your marketing money away. Marketing isn't just a matter of placing ads. It's a method of attracting new business. Before you can hope to achieve this, you have to know exactly who you want to target with your marketing. You need to know your target market before you can reach them. What's the point, for instance, in buying an advertising spot on TV if you're trying to sell whitewater rafting adventures? Are these sorts of people really going to be sitting in front of the tube? Define your customer by getting to know everything you possibly can about him or her. Think carefully about your product or service. Exactly who would want to purchase it? What is the target customer demographic profile? For Canadian demographic data see Statistics Canada. What are the target customer lifestyles/attitudes? The web offers a wealth of information from various sources that can provide you with up to date market research and current consumer trends. Or is there no competition for the product or service at present? You need to develop your target market as specifically as possible if you're going to market your product or service effectively. So think of your "ideal" client or customer as a person. Visualize him or her in detail. "See" what he or she does, thinks, and wants. If you can't visualize this person clearly and distinctly, then you need to research your potential customer or client until you can. 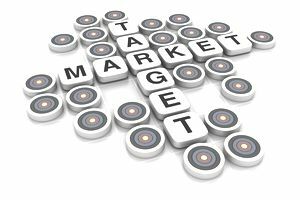 Because until you can define your target market, you won't be able to make the decisions that need to be made about marketing, such as how, where, and when to advertise.